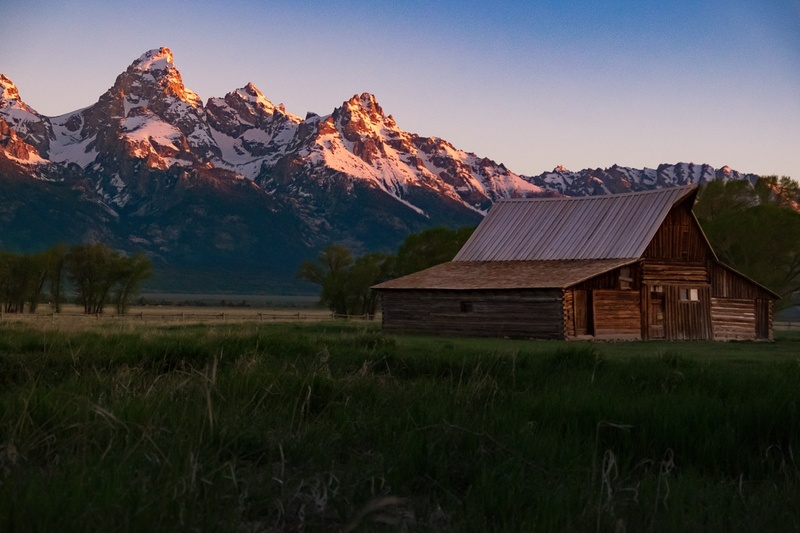 At sunrise, the sun comes up behind you and hits the tops of the mountains before the angles allow it to shine on the Moulton Barn and the foreground. Those are the best shots usually, with the golden light bathing the entire scene. But I also have a real fondness for shots like this where the best light only shines on certain elements of the landscape.